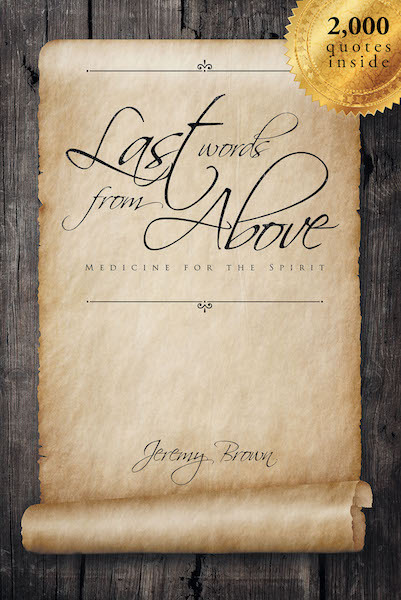 Last Words from Above (Medicine for the Spirit) is not just intended to be a book of thought-provoking and inspirational quotes but also an experience. One that has the power to open not only your mind but also your heart to new possibilities and forgotten dreams. Whether you are only able to go through a few a day or a few hundred in one sitting, you will walk away with something that will heal your spirit.